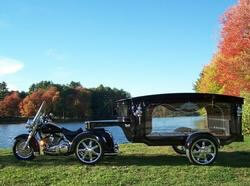 A Motorcycle Hearse is available to honor the motorcycle enthusiast with their final ride. A horse drawn caisson is available for use to take your loved one to the cemetery. 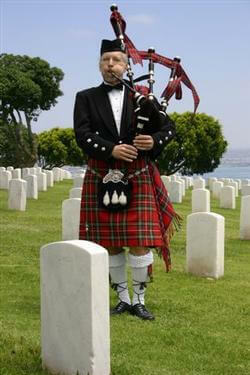 Professional bagpipers are available to play at the funeral service or at graveside. 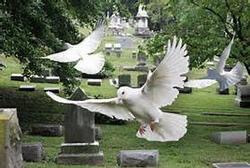 As a final tribute, beautiful white doves may be released. 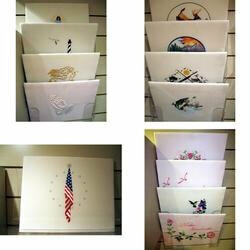 Casket panels may be ordered customized from our selection or may be customized to your preferences to help personalize your loved one's services. 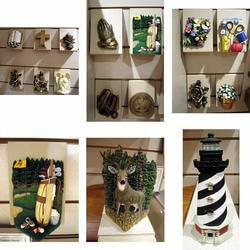 Casket Corners may be ordered for select caskets to help personalize services for your loved one. 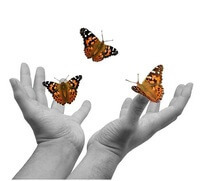 Delicate butterflies may be released at graveside.